Sailing the world in search of fun and entertainment is something that everyone should do at least once. With friends and family coming as well, memories can be built. Here are the top ten locations to consider for a world cruise. Far out in the Pacific Ocean are the Hawaiian Islands. Filled with active volcanoes and crystal-clear lagoons, travelers can hike around the islands after they pull into port. The rainforests themselves are lush and vibrant and offer plenty of opportunity to spot wildlife. Traveling to Fiji is surely a once-in-a-lifetime experience. The island is located in the Western Pacific and offers so much to do that cruisers will feel guilty about leaving. Surfing, snorkeling, and scuba diving are par for the course. Located far below the equator, Australia is nevertheless worth seeing at least once in life. Whether South Pacific cruises spend time in Sydney or Perth, tourists can take in koalas, kangaroos, and a variety of other marsupials. Sydney is especially majestic during the warmer months of the year. China might seem like a forbidden destination for a cruise, but the ports are quite accommodating to most travelers. As men and women head off on an excursion from Shanghai, they will be pleased that they chose the destination. Chinese cuisine offers people the chance to explore a variety of dishes. The continent of Africa is intriguing in so many ways. Though many areas are torn by strife, taking a cruise to South Africa should allow tourists to take in much of the culture. Some of the excursions might even allow cruisers to experience an African safari for the better part of the day. When individuals are deciding on a country to visit, the Caribbean offers up many opportunities. Aruba, located just off the northern tip of South America, is the home of white sand beaches and a variety of marine activities. Men and women who love the ocean will want to visit this nation. Though most cruises are tropical in nature, some people may be more interested in visiting the underbelly of Europe. The cultural landmarks of ancient Greece will inspire cruisers to brush up on their knowledge of western civilization. Athens should not be missed. The Italian coast contains such a vast number of culturally important cities that cruisers will surely be amazed. Trips to Naples, Venice, and Florence can all be arranged. Naples sits in the shadow of old Mount Vesuvius itself. Curling around to western Europe, cruisers will see Spain beckoning from the north. Home to world-class architecture and fancy food, men and women should enjoy themselves capitally. They might even hunker down in one of the plazas for a mid-day meal. Lovers of the cold can cruise to Alaska. Under the brilliant night sky, they will get a feel for the vastness of the planet. 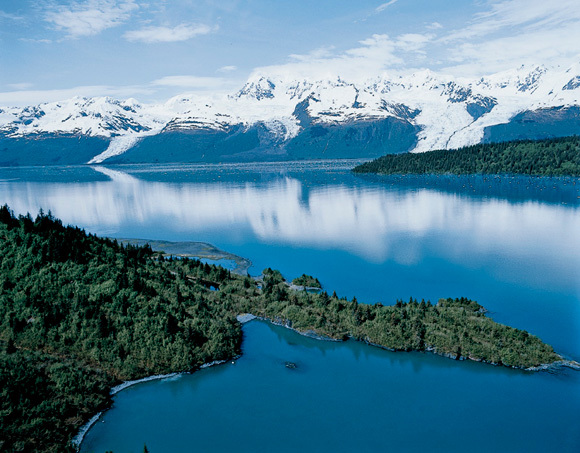 Most Alaskan cruises will allow people to take in mountain peaks, green valleys, active glaciers, and grizzly bears.